Our new neighbor, 405 YOGA, tells us they will open next week, Friday the 13th. The studio, which has two large practice spaces, is located at 1000 Florida Ave NE, on the corner of Florida and West Virginia Ave. You can sign-up for classes now at http://www.405yoga.com/reserve-classes to take advantage of Grand Opening specials. 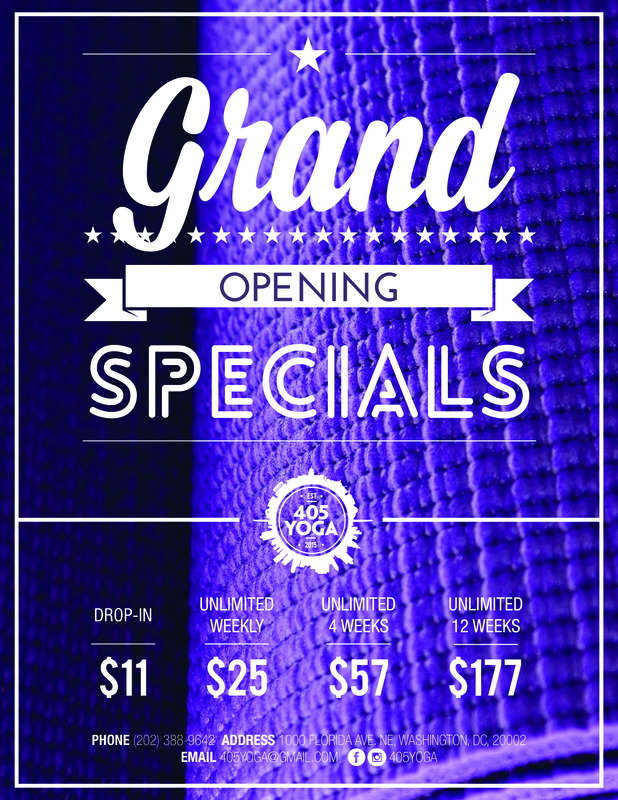 Grand Opening specials activate when you take your first class. There are a variety of classes offered each day, including classes led with ASL.